Arnold & Arnold, Inc. was founded more than 40 years ago by Chuck Arnold, a pilot, adjuster, attorney and father to the company’s current directors, Bill and Tuck Arnold, and to its previous president, Bruce Arnold. The firm got its start handling marine liability claims, then branched out into aviation, hull, cargo and other specialty investigations areas. Our head office is in San Diego; we have expanded across the country gradually in response to requests from clients. Hap Arnold is our President and Senior Director based at our home office in San Diego, California. He holds Adjuster’s licenses for California, Oregon, Utah, Alaska, Wyoming, Montana, Nevada and Idaho. Hap heads up our SIU, Aviation and Marine Hull and Survey Departments, as well as our Loss Prevention and Risk Management Division, as well as providing in depth technical expertise on other claims where required. Hap is a physicist, mathematician, engineer and computer analyst. He holds a US Air Force Command Pilot aeronautical rating, FAA Airline Transport Pilot and Turbojet Flight Engineer Licenses. He has an active Aviation, Technical and Insurance Consulting business which gives additional experience base broadening to our firm. He holds three US Patents for aviation safety related devices. After active duty service with the US Air Force as a pilot, he joined the California Air National Guard. He retired from the Air National Guard in 1996 after twenty-two years flying all models of the F-4 Phantom II as a Lieutenant Colonel. At the time he was serving as the 163rd Operations Group Vice Commander and Aircraft Commander in the Group’s KC-135R Stratotanker aircraft. Hap was a commercial airline pilot for a major air carrier flying Boeing 727 aircraft. He is a graduate of numerous military accident investigation courses for aviation and ground vehicles. He has been involved in investigation of aviation accidents since 1974. He has been a US Air Force accident board investigating officer and pilot member; he has been recalled to active duty by the Air Force on occasion to investigate aircraft accidents. Hap currently has approximately 23,600 hours total flight time in a wide variety of aircraft, both fixed and rotorwing. 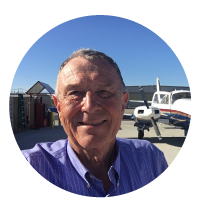 He is a Past President of the national aviation claims adjusting professional association, The Organization of Flying Adjusters. He guest lectures at Palomar and Miramar Colleges on Aviation Safety. Hap is a member of the International Society of Air Safety Investigators and International Association of Marine Investigators. He held US Navy Master’s certification for motor and patrol vessels to 105 feet and sailing vessels through 45 feet. 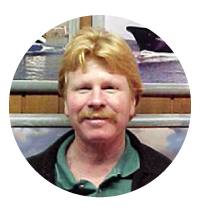 He is a certified diver, with experience in salvage diving and wreck removal. His background also includes fire-fighting and fire assessment training with various branches of the US Military. Hap’s scientific background has proved invaluable in coordinating pollution and environmental investigations. He has acted as principal fire investigator on several large losses, both marine and aircraft and has been the lead technical investigator on numerous vessel sinkings and marine casualties. He often acts as an expert witness on coverage issues and also represents underwriters at Settlement Conferences and Mediations. A. C. (Tuck) Arnold, Jr. is our Marine P&I Claims Manager. Tuck is Director of our Motor Truck Physical Damage Section. In addition, he is the Deputy Director of our Aviation Claims Department and has supervised hundreds of aircraft and helicopter claims. He is an Honorary Member of the Organization of Flying Adjusters, the highest accolade that group can award. Tuck holds a California and Arizona Private Investigator’s and the necessary Adjuster’s licenses for California, Oregon, Utah, Alaska, Wyoming, Montana and Idaho. He is the managing investigator for our subrosa department. Tuck has a Criminal Justice degree from San Diego State, as well as a law degree from Western State University College of Law. He has a background in law enforcement and maritime operations with the National Park Service. He is an active member of the El Cajon Mounted Police and is a certified open water diver. Tuck has been an active powerboat owner for many years. Tuck has been actively involved with thousands of Jones Act crew member claims. He has been an active member of the litigation team working closely with many local defense firms on a wide variety of maritime, as well as other CGL losses providing trial support.